The Vail Valley this week welcomes the annual Xfinity Birds of Prey Audi FIS World Cup men’s ski races from Thursday, Nov. 29, through Sunday, Dec. 2. It promises to be quite the party. When people talk about Vail and Beaver Creek as “world class” resorts, this is a significant part of what they mean. The training, racing and events may occupy just a few days on the calendar, but for those few days, the Vail Valley is the center of the ski-racing universe. 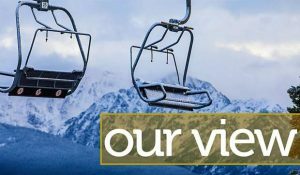 Most years, the races go off without a hitch, thanks to a lot of hard work by a lot of people, but the early-season dates on the ski season calendar can also remind us how much we depend on nature. The 2016 event had to be called off due to lack of snow. That happened in 2001, as well. High winds canceled the downhill event in 2010. The 2017 edition was held as scheduled, thanks again to great work by those who shape the course. This year, the races are on, the course is said to be in fine shape and there’s good early snow on the surrounding hillsides. On the other hand, weather may again play a role. There’s snow in the forecast for much of the rest of this week. Snow at a ski resort is a good thing to show an international TV audience, but racers prefer clear weather and a fast course. Still, we’re expecting some good racing this year. If you want to see the best men in the world racing in super-G, giant slalom and, of course, the downhill, this is where you want to be. The Vail Valley Foundation, the local host for the races, is also working to turn Birds of Prey into a rousing kickoff for ski season, with music, libations and other forms of fun. None of this would happen without countless hours of volunteer effort, from the Talon Crew to the sign-in desks. It’s a tribute to our community to have these people ensuring that the races, and the party, do our valley proud. So if you can, get up to Beaver Creek this week. You’ll see our valley at its best, and you’ll have some fun in the bargain.